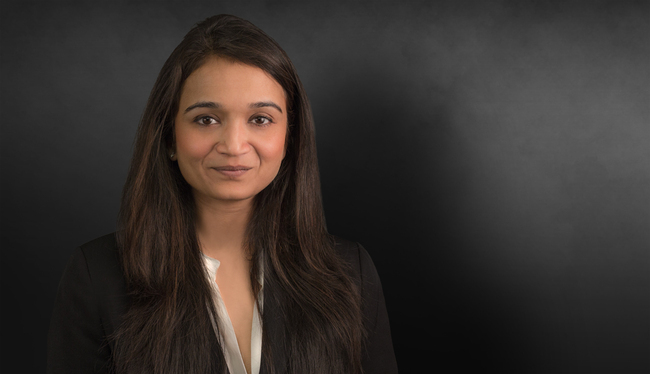 Shubhra Mashelkar’s practice focuses on civil litigation with emphasis on product liability, environmental and toxic tort, professional liability and catastrophic injury. She has litigated and resolved cases involving serious injury and wrongful death in Arkansas, California, Florida, Georgia, Illinois, Louisiana, Michigan and Mississippi. Shubhra serves as regional trial counsel for manufacturer of products containing asbestos. Successfully defended suppliers in a multi-district class action suit involving thousands of claimants. Prosecuted indemnity and other claims against foreign manufacturers. Defended numerous motions for class action certification in federal and state court. Successfully defended county against claims by 42 residents alleging brain damage and renal failure as a result of their consumption of toxic levels of well water containing fluoride nearly four times higher than state-mandated safety levels. Defense verdict for developer on a multi-million dollar Federal Clean Water Act claim after five years of litigation and a two-and-a-half week jury trial in Federal Court in Atlanta, Georgia. Successfully defended growers and processors in cases all over the country alleging E. coli contamination. Successfully defended chemical manufacturer against charges that its product caused an explosion injuring and killing 30 people. Successfully settled 12 personal injury and wrongful death cases arising out of a multivehicle trucking accident. Successfully defended and settled cases for doctors, hospitals, nursing home operations and other healthcare providers accused of professional malpractice. Successfully participated in defense of various product liability claims made against international medical device manufacturer. Co-author, “Litigation Alert: Cell Phones as Carcinogens,” National Product Liability Association’s Brief (September 2012). Co-author, “Litigation Alert: Cell Phones as Carcinogens,” Defense Research Institute’s The Voice, Vol. 11, Issue 18 (May 9, 2012).